3.00 out of 5 , based on 2 reviews. 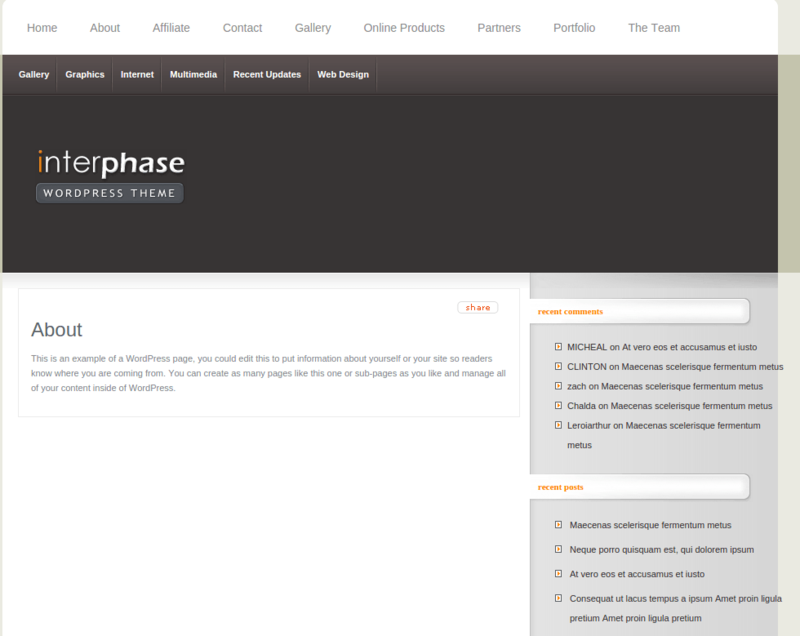 InterPhase is a theme well suited for multipurpose. 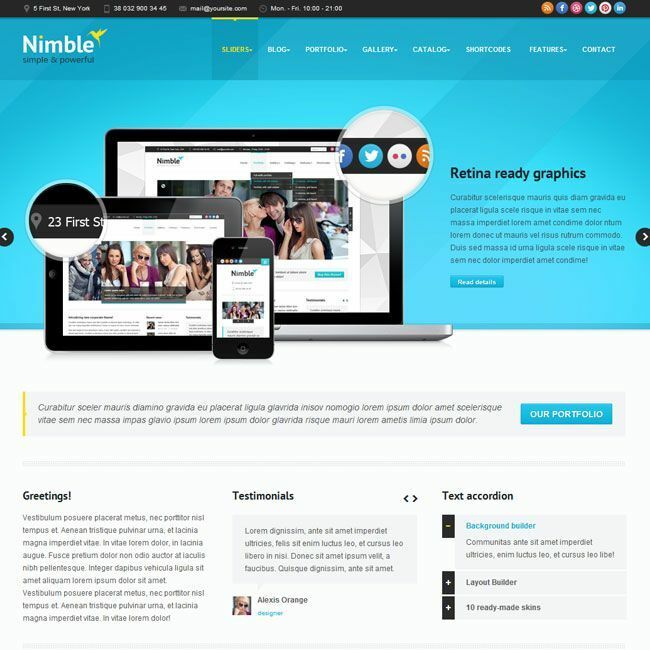 It is developed for designer firms, artists, service providers and business entrepreneurs. It provides with fixed design layout. Many of the useful features are provided and it allows for easy customization as per the requirements. On activating, you get a theme options panel that comes packed with all theme settings, allowing you to easily customize your website without touching a single line of code. This panel allows you to toggle on and off features, adjust site layout, manage advertisements, control colors, optimize for search engines and much more. Hence with the help of e-panel options you can easily setup Logo for header, Menu, Page layouts and other parts of the website according to your requirements. 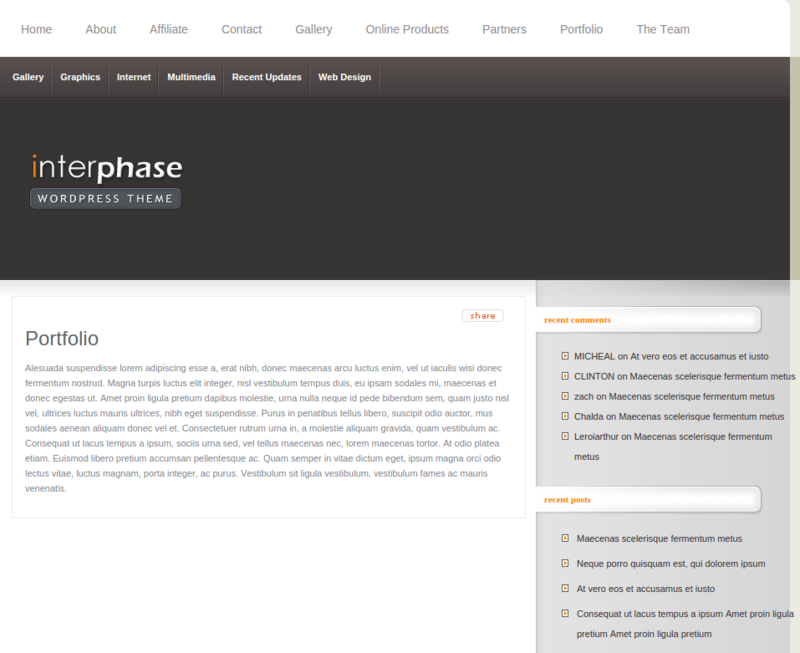 It contains the various menus on the top of the page like home, about, blog, Location and all types of page templates. It is compatible with all popular browsers and latest WordPress versions. 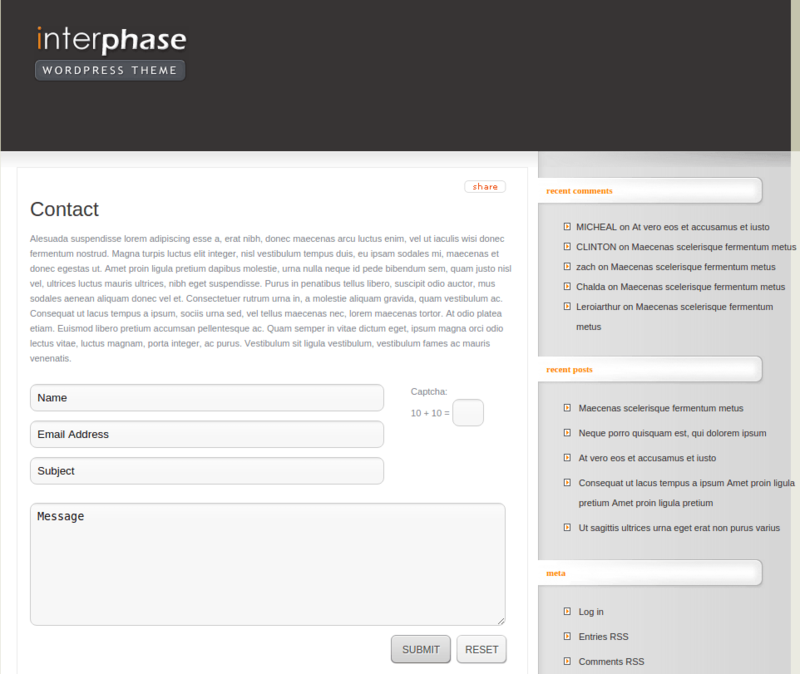 It is a translation ready theme which comes with .po & .mo files for translation. It is well known for its support. It provides top-notch tech support to all of our customers. 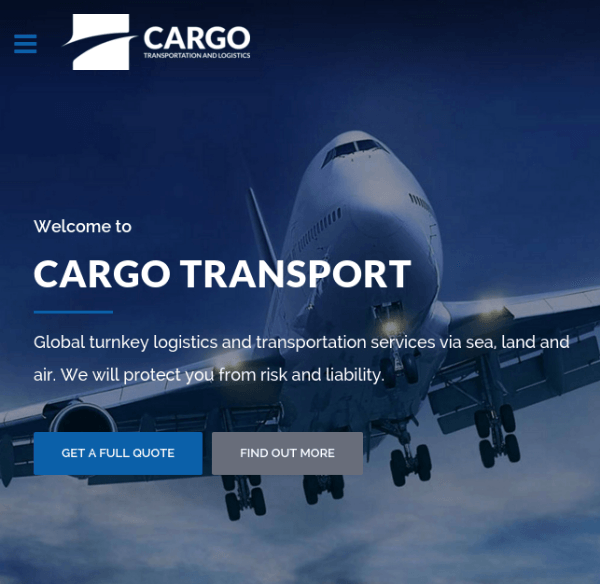 This theme best for corporate site, because it made my site like very professional and effective with two tier primary menu bar. It make my site like fully widgetized which help to my visitors to migrate one page to another in a few click. 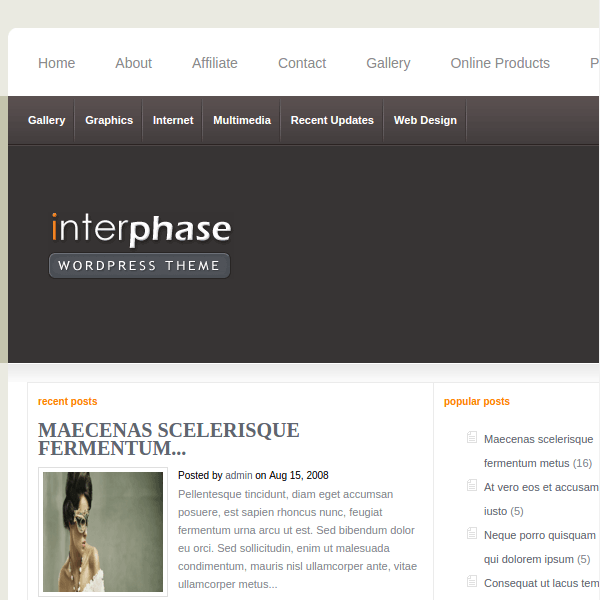 This theme gives look my site like fixed layout. I’m not a web developer, but I want to start my blog and my friend suggested me this theme. This theme is very easy to use. Customization option of this theme is also awesome. Also need to work on its responsiveness. I’m very unhappy seeing this type of responsiveness of this theme. A WordPress Theme Specially built for Video Bloggers.